Former FBI Director Louis Freeh remained hospitalized Wednesday but officials remained tight-lipped about his condition, the Burlington Free Press reports. Freeh, 64, of Wilmington, Del, crashed his SUV on a rural stretch of southern Vermont on Monday and has been in the hospital since under armed guard. Authorities said no drugs or alcohol were involved. 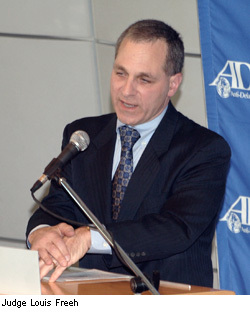 The special protection is in place because of Freeh’s work against terrorists. Posted: 8/28/14 at 8:30 AM under News Story.